Without a plan, most businesses fail. One of the most important things I’ve ever done to grow my business is the one thing that I’ve been told over and over again by my mentors. They said “make sure you have a plan for everything – and most importantly, a branding and marketing plan”. Why? Because knowing how to perform your services is only 20% of your success, the other 80% is all getting the word out in an intentional manner. The intentional piece refers to what a branding plan is all about – how you create a tangible representation of who you are. It may be where you have the most room in your business to map out your own destiny. We are going to combine both the representation and the way in which you promote, or market this into a “branding and marketing plan” for the rest of this article. First, let’s start with your business overview. The overview contains information about the business you are in, the services and/or products you provide, your business objectives (outlined using S.M.A.R.T. language – specific, measurable, action-oriented, results-driven, and time specific), and finally, what motivates you to pursue these objectives. Writing the overview involves you taking the time to write out in clear language what it is you are all about. It should be simple enough for a fifth grader to understand. Otherwise, being too technical can make for a complicated strategy and you will be less likely to carry through to your own steps. 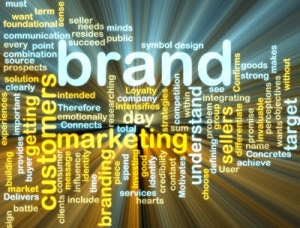 The second section of the branding and marketing plan is about researching and understanding your market. Ask yourself questions like what is the market opportunity? What is the size of my target market? And can the market be segmented into logical customer groups? What are the key trends my market is experiencing? In the market research section your goal is to gather information about the demographics of the group of people who will be interested in the product or service you offer. The more you know about your prospects, the more you can tailor your product to their needs, spending habits, and their biggest challenges. In this section, based on the number of people who are looking for your solution, and the likelihood of there being a demand for this product or service, you will decide how best to price your service or product. Researching your market requires great diligence and insight because the market can change. There are several theories that talk about the way in which a market can be influenced. When you take the time to thoroughly examine your competition while you evaluate the way your market thinks, the results should be recorded with the understanding you may have to align your growth strategies so that you are flexible and adaptable to market changes. The third section of your strategy outlines your assessment of the competition. You can complete a SWOT analysis to take a closer look at other factors – both internal and external – that may influence your success. SWOT stands for strengths, weaknesses, opportunities and threats. It is important to understand how you compete against others that provide the same or similar solutions as you. You need to know how many competitors are in your current marketplace and what distinguishes you so that you can clearly speak to this as you promote your services or products. The fourth section of your branding and marketing strategy is about the offering. Here you can outline what need your offering is designed to fill, what features and associated benefits your offering provides, and how you will deliver your offering. In doing your market research for the prior section you will likely uncover information about the type of offerings your customers and potential customers would most like you to develop. That information should be indicated here. Marketing messages are the fifth and final section we will address for the branding and marketing plan. What do your current customers know and perceive about you today? What is the single most important message you want to communicate to your target audience? What evidence do you use to support the claims that you make in your single most important message? This is sometimes referred to as social proof. An example of social proof is the group of testimonials that you have posted on a page. It may also look like case studies based on prior situations you worked through using your signature process. As you consider your brand and marketing plan for the business you run, be sure to cover all five of these components to ensure you have a thorough grasp of what you’re trying to promote. After all, creating a recognizable, distinctive brand requires you create a strategy that is well thought out and clear for you first. And ultimately, your plan should translate well to your customers and prospects.